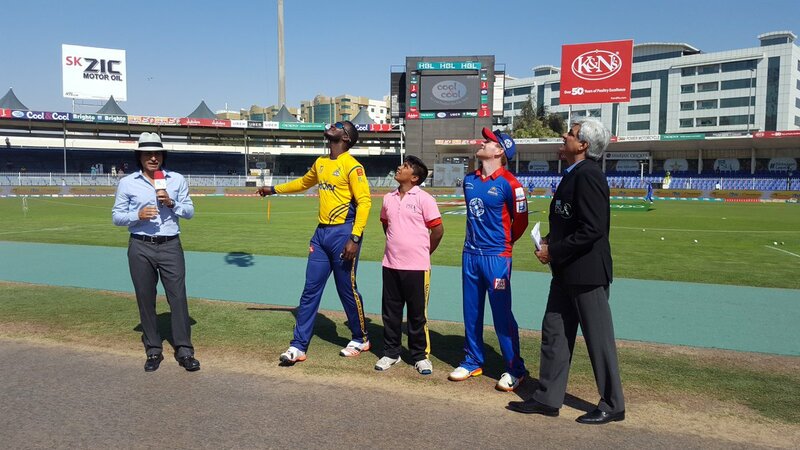 Peshawar Zalmi has won the toss and elected to bat first. This is a MUST WIN game for them and that's why they seem to have changed their approach i.e. instead of bowling first, they have chosen to bat first. I bet their game plan is to make 170+ and we have seen throughout this tournament what happens to the team batting second chasing this score. But it can backfire if they only make around 150! Thank you professor! Now we know which team is going home after Lahore Qalandars. 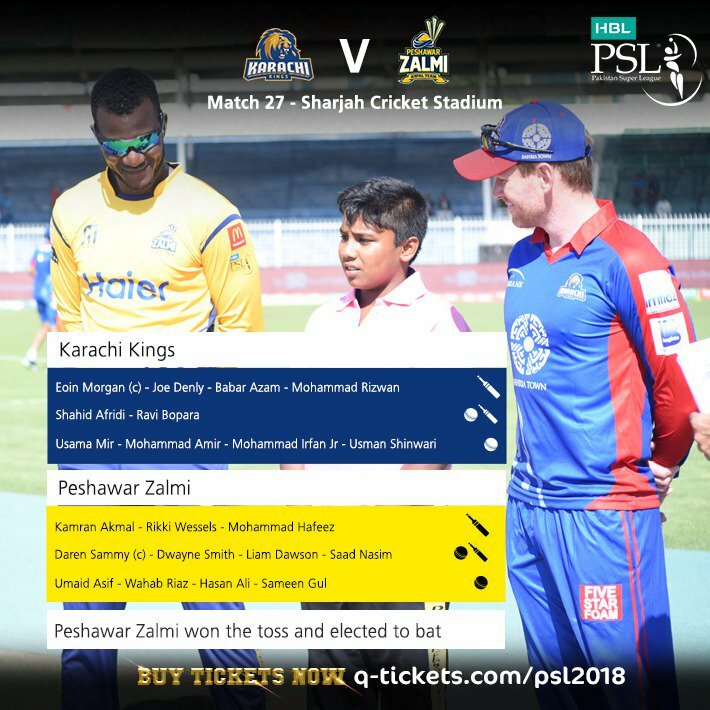 Bye Bye Zalmi, it was good while it lasted. (03-15-2018, 04:44 PM) rangbaaz Wrote: Thank you professor! Now we know which team is going home after Lahore Qalandars. 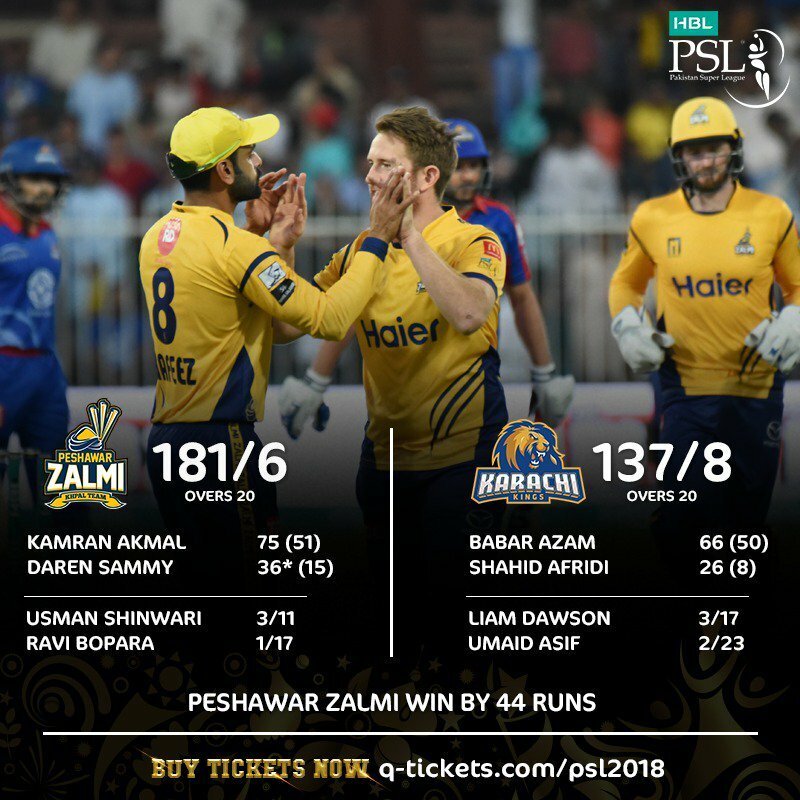 Bye Bye Zalmi, it was good while it lasted.